TerraCycle can work with you, your city government, individual organizations, and businesses to set up public recycling programs for specific waste streams to help your city in Eliminating the Idea of Waste®. 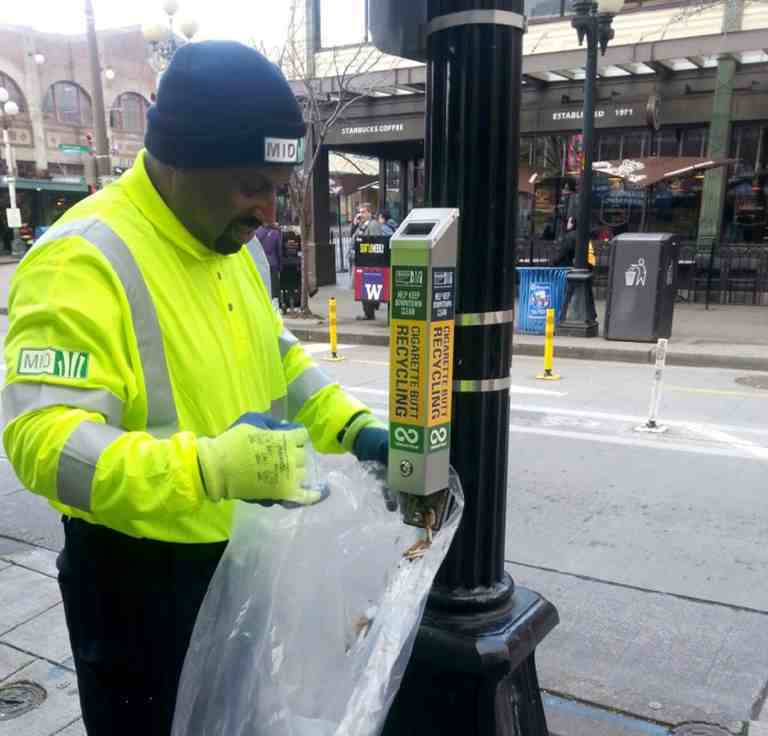 Although cigarette waste is the most common waste stream cities are recycling with us, we also offer a variety of other programs that we can work with you to recycle. We will help determine how to establish a customized program for you and your city or organization. Many of our programs also offer a fundraising incentive for non-profits and schools, which becomes a great way to get the community involved in recycling. Visit or contact your local school district, community organization, or public institution to determine if they are already recycling difficult-to-recycle waste streams through TerraCycle. Or just look for TerraCycle recycling boxes, or Zero Waste Boxes at these locations. And below you can find a list of cities that currently have a cigarette recycling program in partnership with TerraCycle. Each municipality has publicly accessible cigarette recycling stations for waste to be deposited. Feel free to contact us if you have any questions about these programs.